Sometimes while I am waiting for just the "right time" to post a garden photo, I wait just a little too long, and the plant or pot is a little past it's prime. That is the case with my bike basket this year. Here my bike basket is just gorgeous in June. My bike basket annuals are Large Lilac Blue Verbena, Superbells Yellow Chiffon Calibrachoa, Supertunia Mini Purple and ornamental oregano. I used a coconut liner in the bike basket. Here at the end of July my basket has far less blossoms, and past it's prime. I have a treat for my readers today! I am sharing some garden bike photos and links from my garden friends' great blogs. 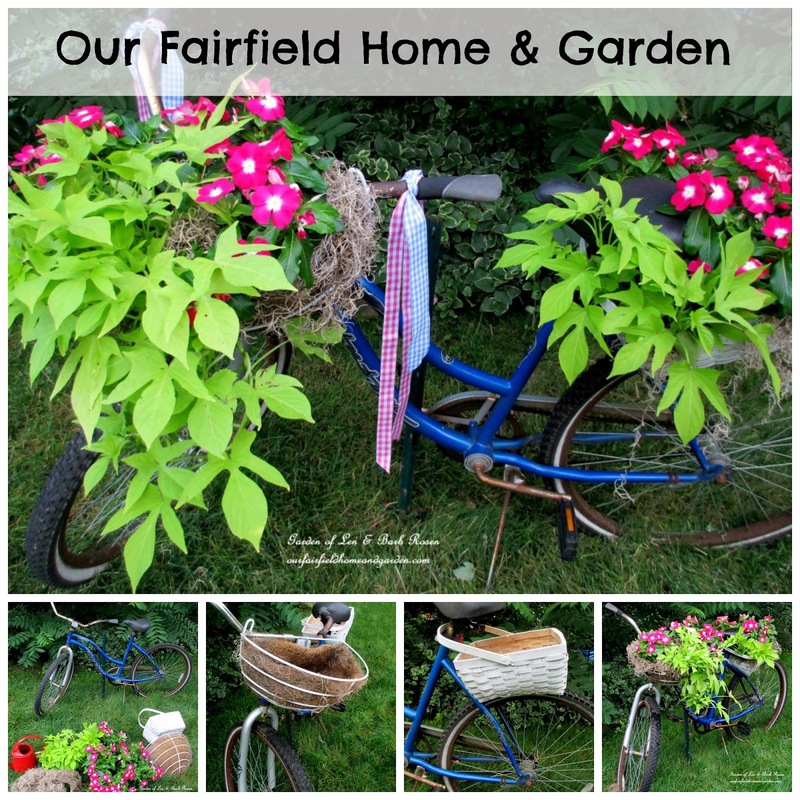 First, Barb Rosen of Our Fairfield Home and Garden shares a tutorial on planting her bike baskets. As you can see the finished product is gorgeous! 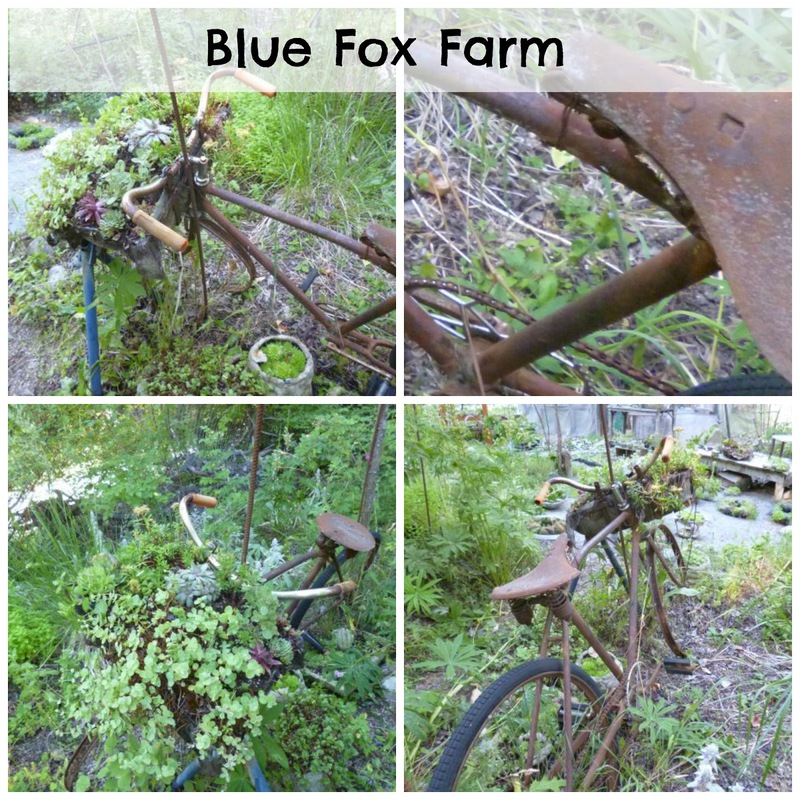 Next, Jacki from Blue Fox Farm shares photos of a very rustic bike planted with sedum. 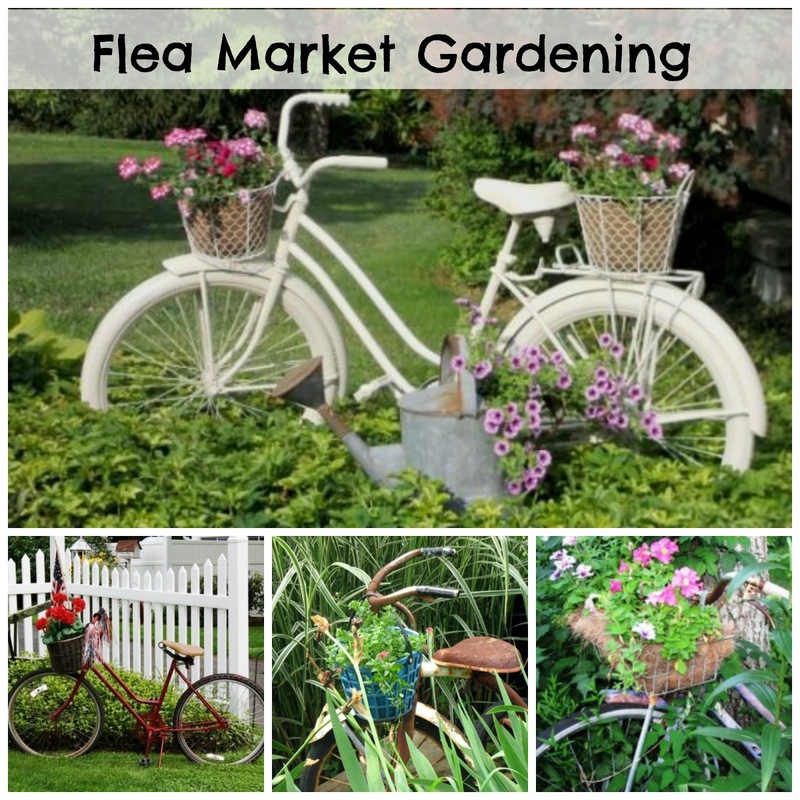 A very natural planting that's great with the rusty bike! 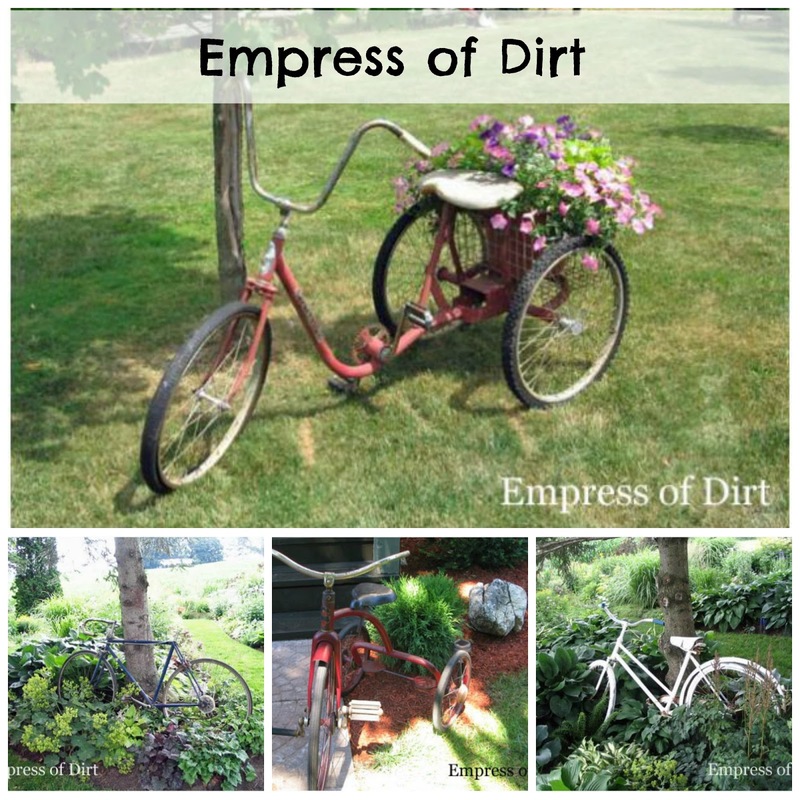 Then, Melissa the Empress of Dirt, shares a variety of different garden bikes, a trike and even a wagon and wheelbarrow on her "Let's Roll" post. 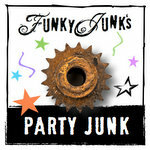 Many great ideas for planting junk on wheels! And lastly, Sue from Flea Market Gardening shares a variety of readers' bikes in her post "Pedals and Petals". You will love it! Are you wanting a garden bike, or two? What a beauty! Your flowers look wonderful. Cute idea with the shoes. Have a great week! I was in awe of the flowers in the bike basket and then saw the sneakers. How funny and how cute. You just amaze me. Ok, those shoe planters got a chuckle from me!! Carlene this is so CUTE!!! I had an old bike in our backyard for awhile, but it just took up too much room in our small space. They just look so cute! So pretty!! I just love old bikes with flowers in their baskets. 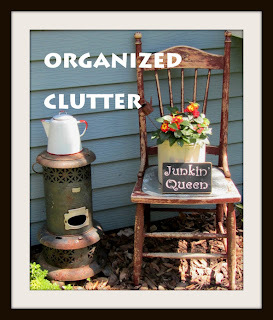 I've been looking for one to put in my flower garden out front. I've been looking for a bike for the garden for some time now, but haven't found one cheap enough yet. It has to be a bargoon! Love all the bikes... and those sneakers are fabulous!!! I am really loving your white bike. I know what you mean about the flowers, some of mine are looking a wee ragged now. However, yours look amazing. Carlene, I love your bike and basket of flowers. The tennis shoes on the pedals is a great and fun idea! Carlene, I love this! Those shoes on the bike made me smile...which is hard to do so early in the morning sometimes! How fun! Totally adorable! I've been considering a bike in one of my gardens, so thanks for the inspiration. Love that bike! Your basket of flowers is HUGE! My verbena has seen better days. I'm hoping it's perk back up if I trim it a bit?